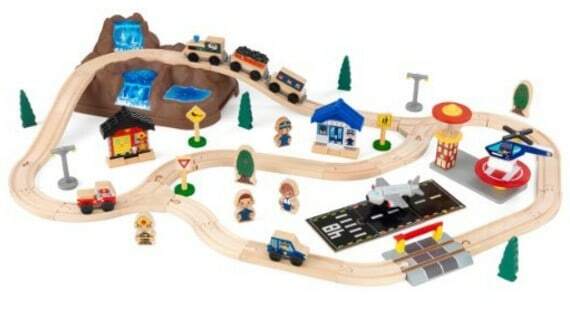 The KidKraft Bucket Top Mountain Train Set is on sale for $34.95 at Amazon right now. Use promo code AMZNTOYS and save an extra 20% making it only $27.96. That's 80% off the list price of $134! When playtime is finished, storing this train set is a breeze – everything comes packaged in a convenient bucket.